It's been a while since I last posted but I have been busy, creating large and small pieces. I've also been creating a lot of images from my imagination, using no visual references. Working in this was allows me far more freedom and the images seem to have a more ethereal quality to them which is exactly what I am aiming for. Ella, is a large drawing, roughly based on one of my images from the Seekers, 2013 series. The female character is small, almost dwarf like with a fragile frame, possessing a menacing gaze. I wanted to play with the idea that Ella is in a middle moment, leaving the interpretation up the viewer. 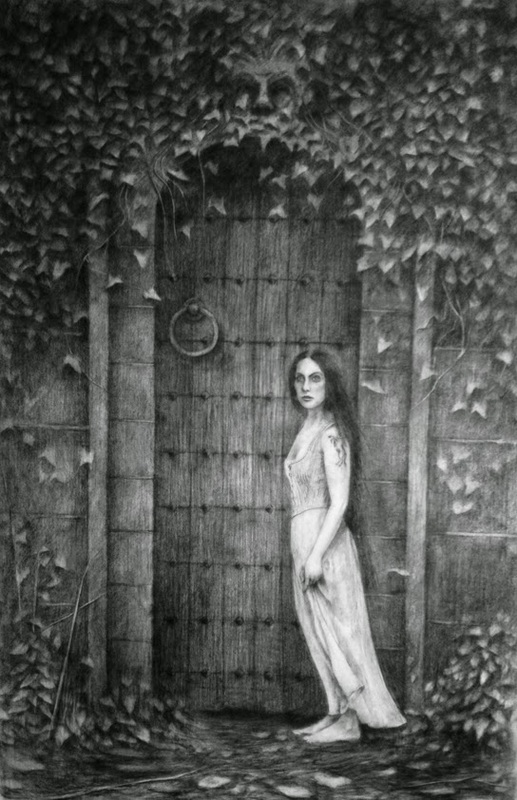 Is she waiting or guarding the entrance to what lies beyond the door or is she ready for what ever comes out ? Another recent large piece is Honeycomb. 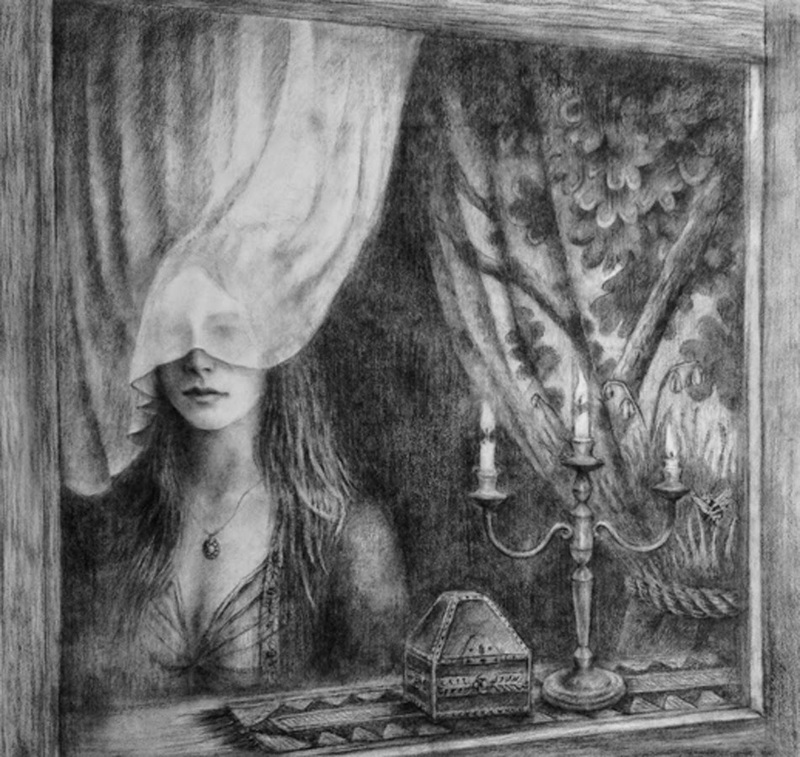 I began with a strong image of a woman looking out of a window with her eyes and upper head covered from a sheer white curtain. Slowly, the rest of the space grew and took form, like a honeycomb, becoming a rich ornate interior where my character prefers the comfort of staying in and looking out. The white curtain shields her eyes and the outside world becomes a blurred and softer place to view.